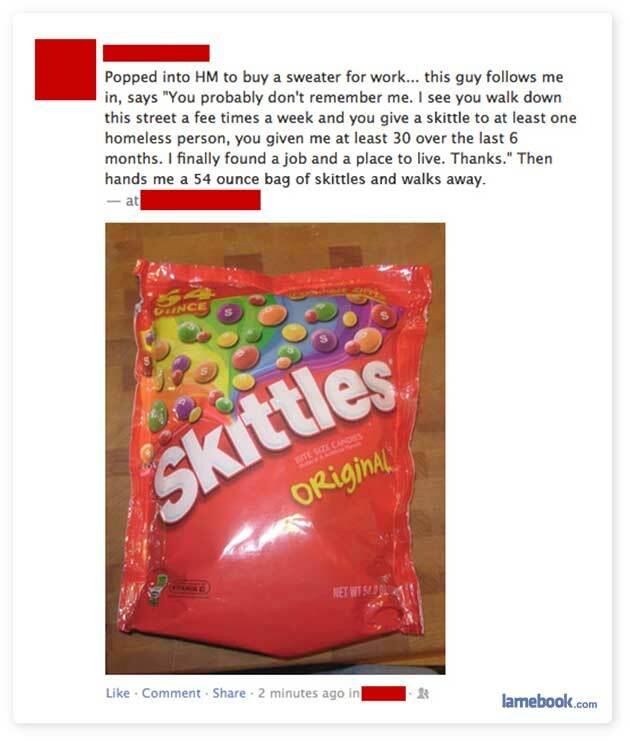 Let’s see…You give ONE FREAKING SKITTLE to homeless people? Oh, you are a saint. Or you are lying about the whole thing.